Shipping is included in the pricing. Quilts inspired by classic architecture pave the path to modern quilts. 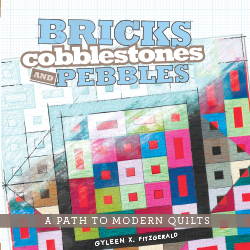 A new type of quilt book where personalization is not only encouraged, it's expected. 21 dynamic quilt blueprints to build, fit or alter. Note: the Angle Trim Tool was used to produce several of the quilts.